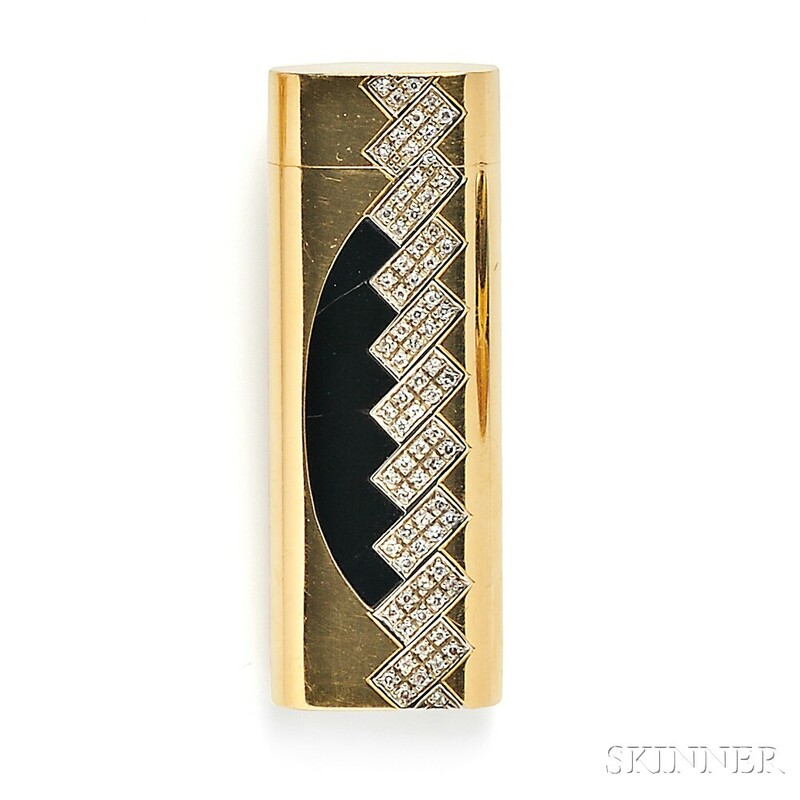 18kt Gold, Onyx, and Diamond Cigarette Lighter, Cartier, set with single-cut diamond melee and onyx, lg. 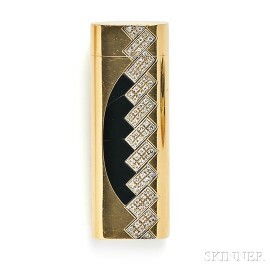 2 3/4 in., no. 70070H, signed.